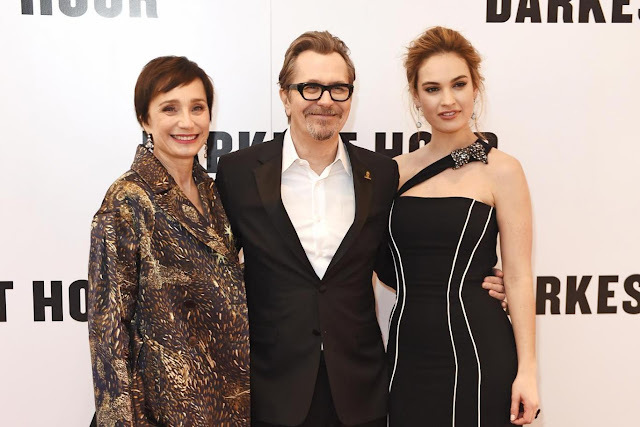 Home / CELEBRITY NEWS / Lily James Showcases Dramatic Prowess in "Darkest Hour"
Directed by Joe Wright (Atonement, Pride and Prejudice) and starring Oscar Best Actor nominee Gary Oldman, Darkest Hour is the dramatic and inspiring story of four weeks in 1940 during which Winston Churchill’s courage to lead changed the course of world history. 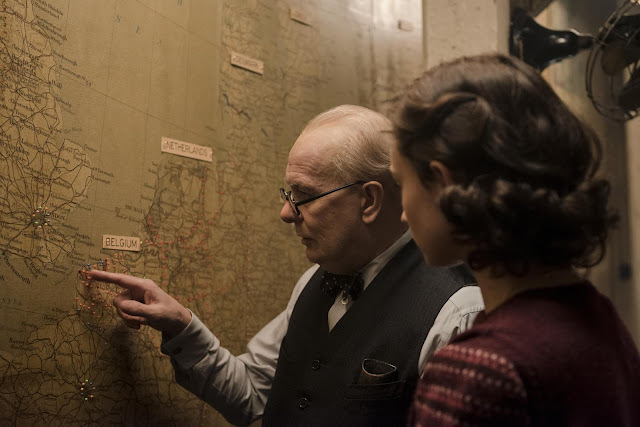 Responding to what she saw as a “powerful story of [British] history, of everyone’s history, that we should remember and reflect on,” James joined the Darkest Hour troupe to portray the character of Elizabeth Layton, Churchill’s personal secretary. 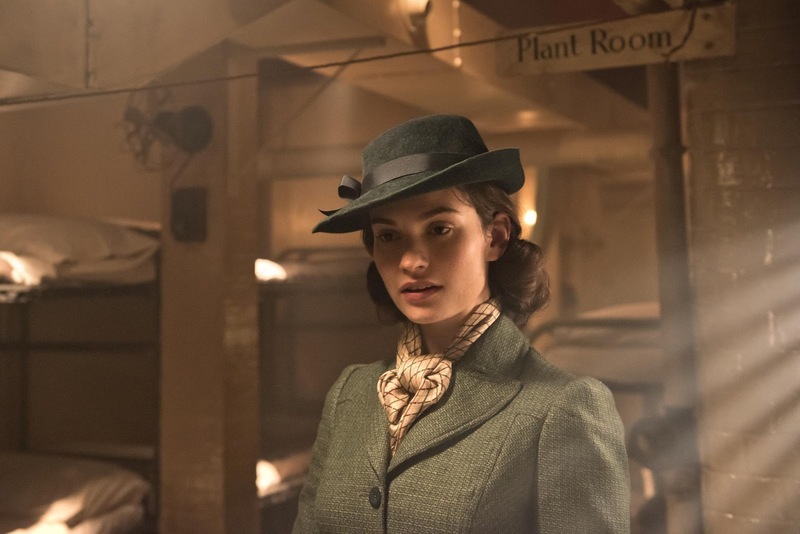 Screenwriter Anthony McCarten had taken inspiration from the real-life Elizabeth, who published memoirs detailing her years with Churchill under her married name Elizabeth Nel. McCarten scripted the character to afford the audience a more intimate ringside view of a man whose world was by necessity far removed from the everyday, and Wright carried this motif over to filming the scenes of secretary and employer together. “Elizabeth is like the eyes of our movie,” explains Wright. 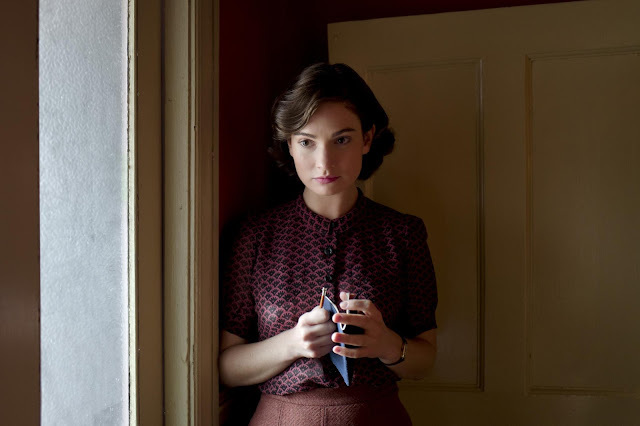 “I wanted no blockage between Lily and the audience. Her point of view on the story is an accessible one and leads into what for me is an important aspect of this story: Winston’s disconnection with, and then restored and strengthened connection to, the British people. James reports, “I loved reading Elizabeth’s autobiography. She knew she had a job to do, and a fighting spirit. Her book was just so full of admiration and you can see that she really loved Churchill, as did I think all his inner circle of staff; he was incredibly hard and strict and wanted things how he wanted them, but he had this spirit of generosity and this incredible wit and humor. All through filming, James kept specific details in mind, particularly how “Elizabeth had to follow him around; even in his car, she would be there with her notepad or typing. I took a few months and learned to type professionally on a vintage typewriter.